We always love the opportunity to give a tour at one of our breweries. It gives us chance to tell you about us and our passion for brewing interesting beers. But more importantly, it's a chance to learn more about you, our customer. Watch for an email confirmation within 24 hours of submitting. If you don’t receive one, please call 503.965.7007. 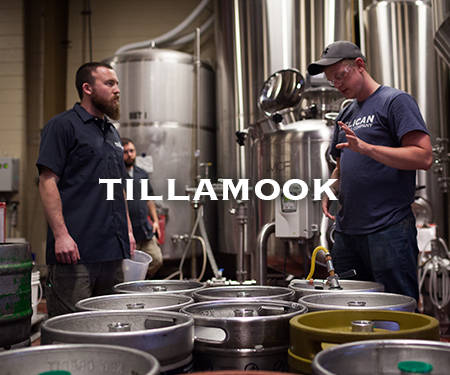 Available at the Tillamook location on Saturdays only.